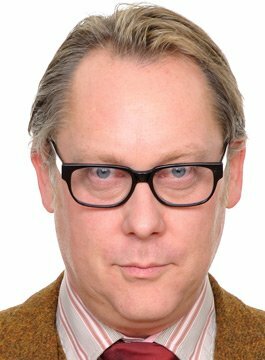 When Vic Reeves was first presented to the TV public, he called himself ‘Britain’s Best Light Entertainer’, he could sing, dance, be funny, draw, and act. That was the start of 1990, and Vic Reeves’ Big Night Out was the beginning of a career that is now going into its third decade. With his partner, Bob Mortimer, Vic Reeves went on to co-create two BAFTA winning series for the BBC TV: Shooting Stars, and The Smell of Reeves and Mortimer, amongst many others. A heady decade at the top of the tree led to his current career in TV broadcasting (presenting Braniac), radio (presenting his own show on Virgin Radio and series’ for BBC Radio 2), publishing (his autobiography Me: Moir), and fine art. His profile, experience and humour make Vic the perfect host for any event. Previous corporate work includes hosting the BAFTA Video Game Awards to great acclaim, hosting the Specsavers Celebrity Spectacle Wearer of the Year Awards, and featuring on the panel of the live Sky Movies Debate: Which is The Best Batman Movie?